Sounds crazy but it’s real! Using a compact and modern technology we are able to produce electricity from the simple, every-day process in which plants rely on to survive, photosynthesis. Bioo provides a day and night constant electricity supply, proving that plants may just be the way out for truly clean renewable energies. With Bioo Lite we plan to redesign the concept of charging your phone or tablet. 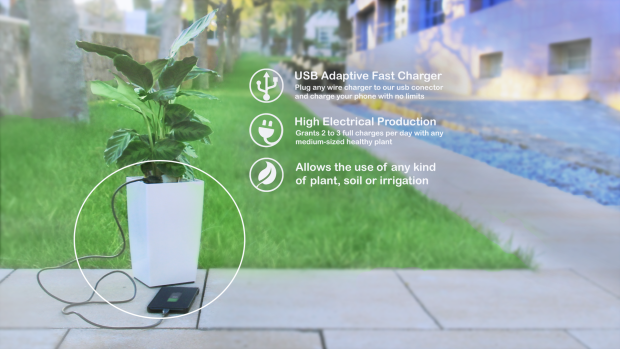 We want to make it easy to use, as easy as a normal electricity plug you now use from the wall, but instead, adding the clean and awesome look a plant of your choice provides.